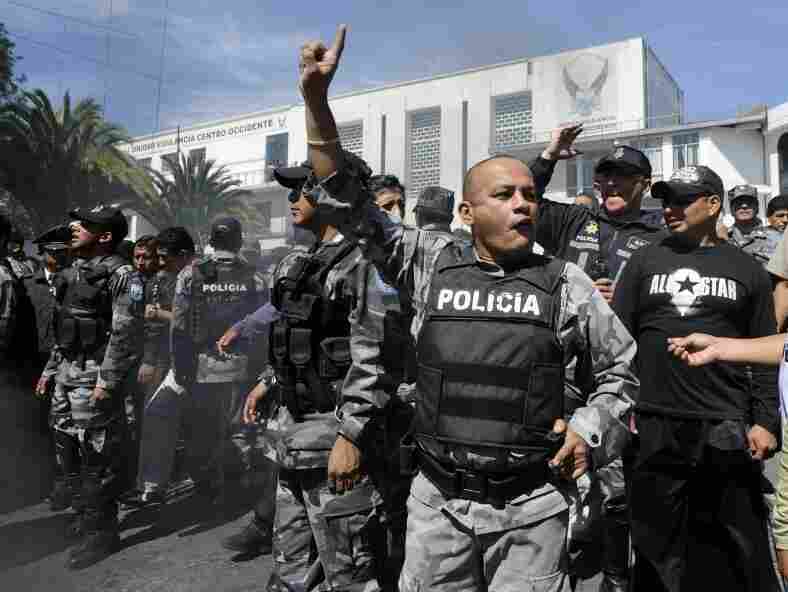 Unrest In Ecuador: Protesting Security Forces Seize Airport : The Two-Way Protesting police and soldiers in Ecuador have seized bases and the airport, and blocked roads into the capital. Army says it is still loyal to President. 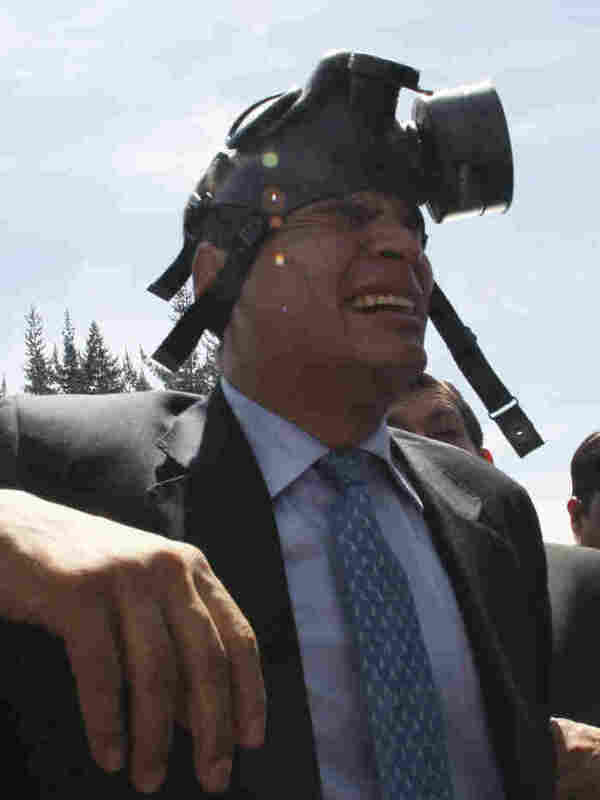 UPDATE AT 2:26 p.m. EDT: The Associated Press is reporting President Rafael Correa was hospitalized from the effects of tear gas and being pelted with water. He had stood in front of protesting police and said, "If you want to kill the president, here he is! Kill me!" Reuters says Foreign Minister Ricardo Patino called on Ecuadorians to march on the hospital to "rescue" the president from the police protestors. 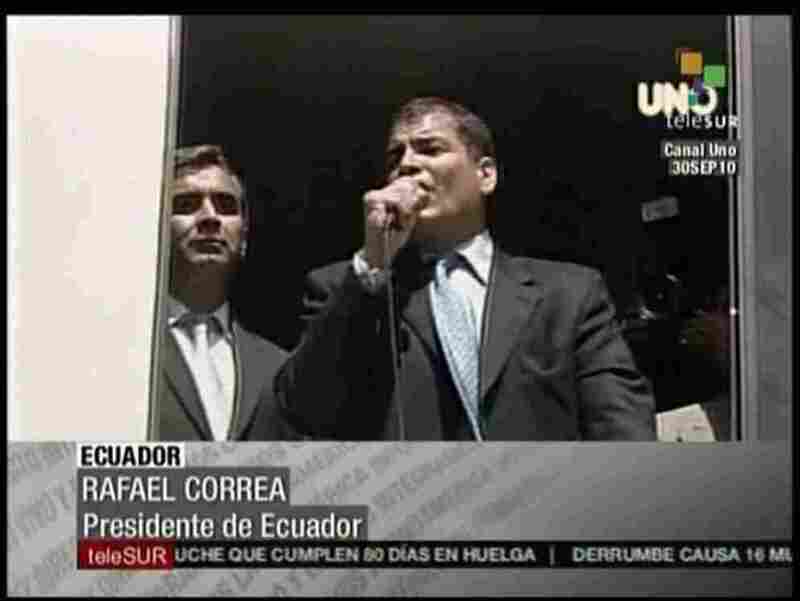 Correa is calling the unrest a "coup attempt." Hundreds of police and soldiers took to the streets in Ecuador today. They shut off highway access to the capital Quito and seized the airport. They fired tear gas and burned tires after taking over bases in Quito, Guayaquil, and other cities. period required for before a subsequent promotion. The top army commander in Ecuador says the military remains loyal to President Rafael Correa. Correa is quoted as calling the protestors "ungrateful bandits." The BBC reports that Correa had been considering dissolving parliament and ruling by decree.